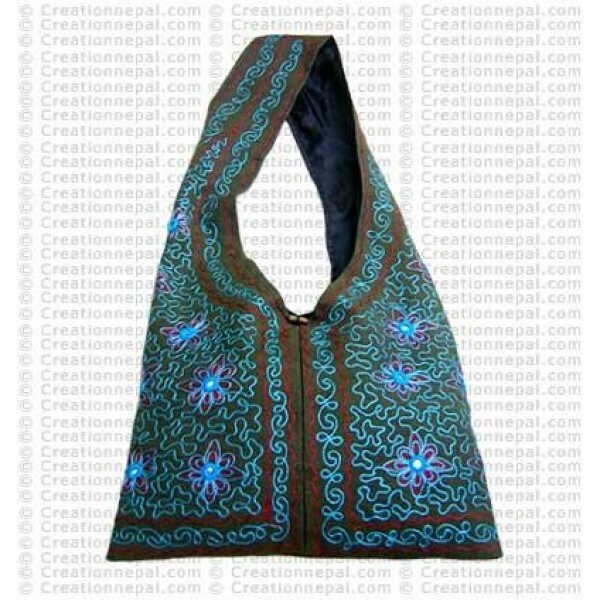 Fully embroidered 100% cotton (hand loomed thick cotton material) Lama bag. Button close, durable polyester lining with inside zipper pocket. The bag's strap is 4.5 inch wide and 39 inches long. Since the product is entirely handmade, NO two are alike; hence there can be slight variation in given size and color.